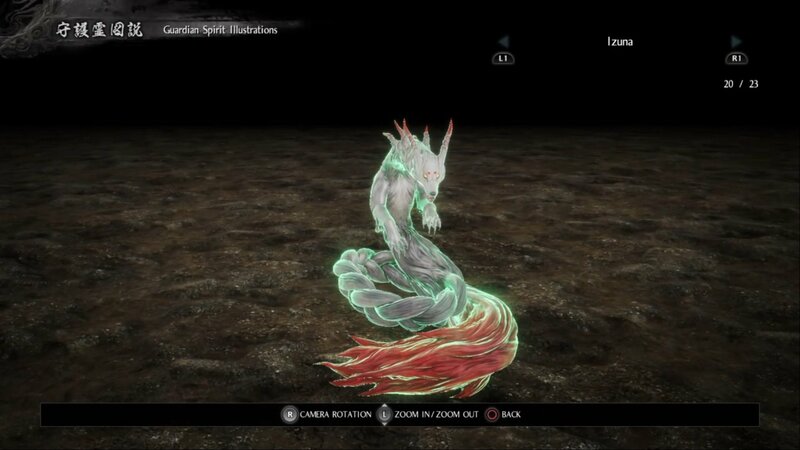 Izuna is the Guardian Spirit of Ishida Mitsunari. Pronounced ''EE-zoo-na.'' In Japan, foxes are known far and wide as servants to the God of Harvest, and have long been believed to possess mystical powers. Foxes blessed with such power are very proud, and thus reluctant to use it for humans, but if they should accept one as their master, they will serve with absolute loyalty. Izuna is no exception; if anything, it has even stricter standards for who it will serve, and will only accept those who are proud, capable, and loyal to their own masters, just like itself. The Guardian Spirit Talisman effect involves two versions of Izuna flying forward and inflicting Physical and Wind damage. Izuna is acquired by completing the main mission A Defiled Holy Mountain. What is Izuna? Animal wise?